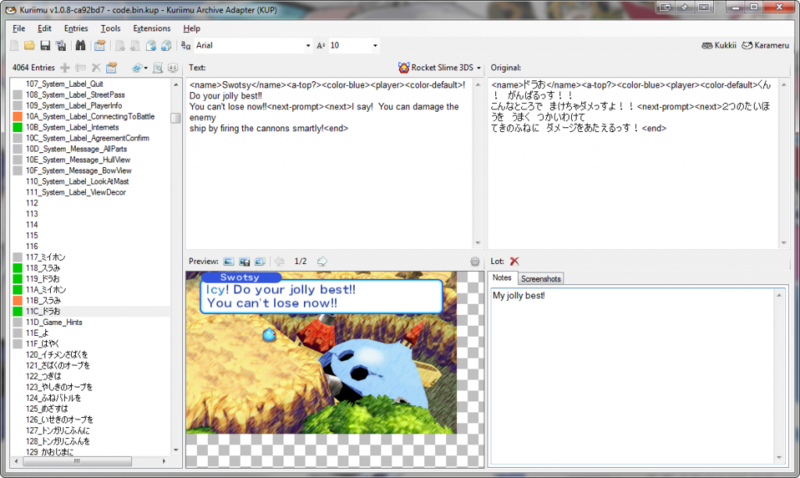 Kuriimu is a generic series of software tools for people who want to work on fan translations* for their favorite game systems. It’s been updated to version 1.0.1.0. Kuriimu consists today in 3 pieces of software: kuriimu, a text editor; kukkii, an image converter; and karameru, an archive manager. So far, people have used the tool for fan translations on the PSP and 3DS consoles, but there is no theoretical limit as to what devices you could use kuriimu for. This window-based toolkint can be extended through user-contributed DLLs, according to the authors. In particular, existing plugins add support for various games file formats. 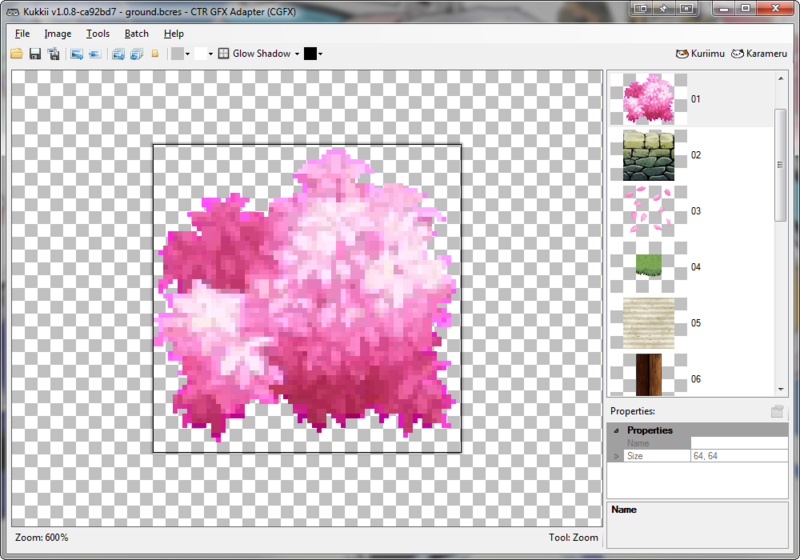 Improved ANMC image plugin compatibility. Improved TEXI image plugin compatibility with Save. Added a new archive plugin for the PACK (DQIX) format. Added a new archive plugin for the VAP format. Added a new image plugin for the IOBJ format. Added a new image plugin for the PICARG4 format. Improved T2B text plugin compatibility. Improved PCK archive plugin compatibility. Patched a bug in some back-end code that was breaking MSBT and possibly other formats. When decompressing, “.decomp” will now be added between the filename and the existing extension. When compressing, “.decomp” will be removed and the original filename will be used. The enter key can now be used to both perform a search and close the dialog and select the text entry in the Kuriim Search dialog depending on the focused control. Corrected a severe bug present in v1.0.8 that broke MSBT and possibly other formats. The Kurriimu software toolkit can be downloaded on the project’s github page here. These tools are aimed at users with a basic understanding of romhacking, they do not and will not ever help you disassemble game executables. Games use different engines with different file formats, just because one game is working doesn’t mean another is. We only add support for new file formats as people bring them to us. We are not actively seeking out new formats. If you are waiting for your game to be supported without ever talking to us, you’ll be waiting a long time. If you have questions, please be as specific as possible. We can’t read your mind.